We’ve all had those nights where we are just too tired to clean off our makeup so we make the terrible decision to go to bed with it on. You wake up the next morning to find a pimple has appeared and now your morning has taken a turn. So exactly how many women are avoiding this important task? According to – nearly 47 million women don’t wash their face on a nightly basis, and 50% of women say they wash their face with just soap and water instead of using a cleanser. With so many options on the market, it’s hard to narrow down which products will work with your skin type and which ones won’t. Creating an effective and targeted skin care routine is the best way to tackle tough skin problems and prevent them from getting worse. So what does an effective skin care routine look like? Cleanse – ensure that the cleanser you have matches the type of skin you have! Use your cleanser once in the morning and once in the evening. 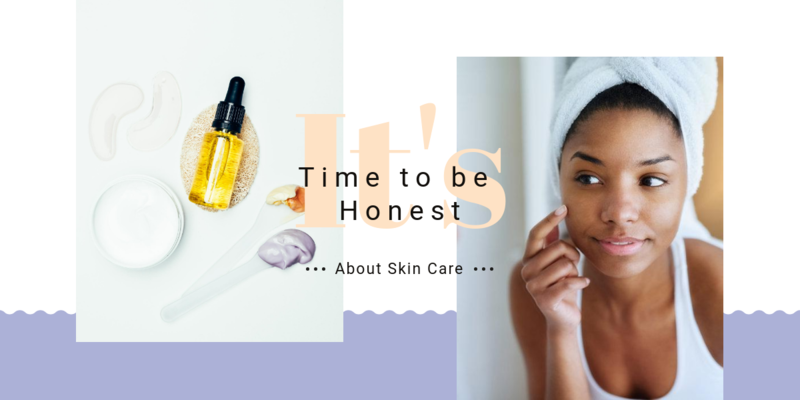 If you are among the same group of people who think that oil clogs the skin, need to know that contrary to their opinion, it help in dissolving the oils which have been built up on the skin surface. In fact, regardless of your skin type, it will help hydrating your skin and protect it. Plus, it is essential to understand that washing off oils from the skin is never good for you. Actually, when you wash off the natural oil without complementing with a moisturizer, it stimulates the skin to protect more oils in return. Hence, the best solution is to choose a natural oil to remove dirt from the skin. Exfoliate – Exfoliate twice a week if you are in your 20’s and below and three times a week if you’re above the age 30, but no more. This is essential to remove all the dead skin layers. You can clear out pores which are present in the skin and enjoy a rosier look. It significantly stimulates skin cell circulation. Ensure that your exfoliant contains AHA and lactic acid. Moisturizing – You cannot miss on the moisturizer as it plays important role in providing a protective layer to your skin. It helps in locking moisture and keeps your skin hydrated. So, keeping your skin moisturized will give it a luminous effect and smooth appearance. Use moisturizers that contain hyaluronic acid! Acid sounds scary but I promise it’s not! Hyaluronic acid reduces the appearance of fine lines and wrinkles and speeds up wound healing. Protect – This step can be achieved by using moisturizer that has SPF. Toner – these products are most helpful and necessary for people with oily or acne-prone skin, or for people who want extra cleansing after wearing makeup or other heavy skin products such as sunscreen. Toner can help shrink pores, restore pH balance, can prevent ingrown hair, and adds a layer of protection. A clean face, is a happy face! Using quality products in a routine is the best way to have a successful skin care routine! Here at Rejuvenation MD we supply iS Clinical, Obagi and our own Private Label.